Every year they start earlier it seems. 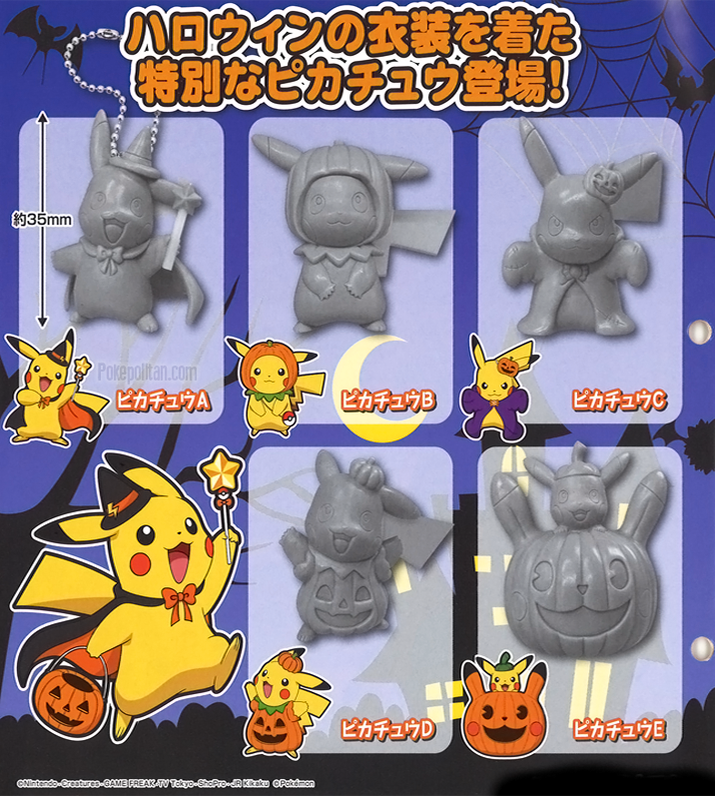 Tomy has released a preview of an upcoming set of spoopy Halloween Pikachu keychains! They will be released in gachapon machines for 200 yen per capsule. This set will be out in August, 2016.